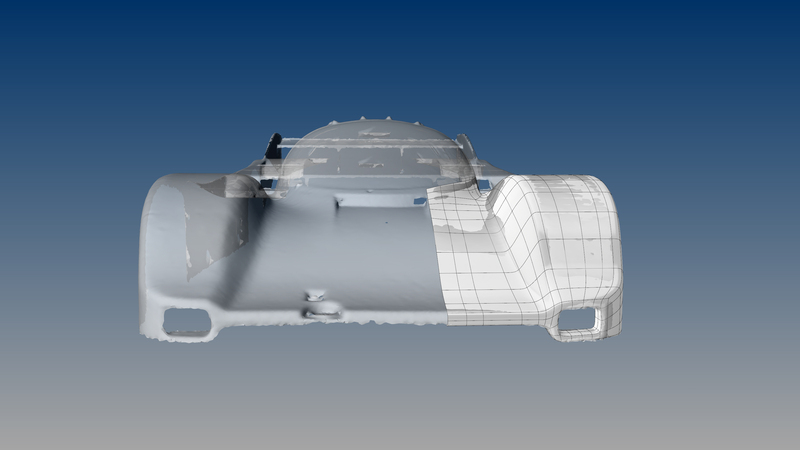 Continuing my little Tamiya Porsche 962C “virtual plastic” build, I spent a little time at the end of Friday working on the surface modeling. I started (Basil this is for you!) by projecting a line onto the front fender. 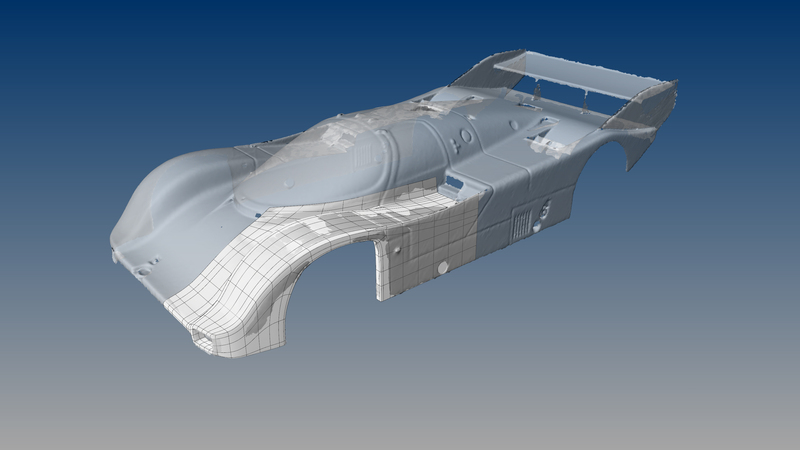 Project is one of those handful of Rhino commands that works on stl meshes. There’s not a whole lot of Rhino commands that works on meshes, but there’s just barely enough to get by. 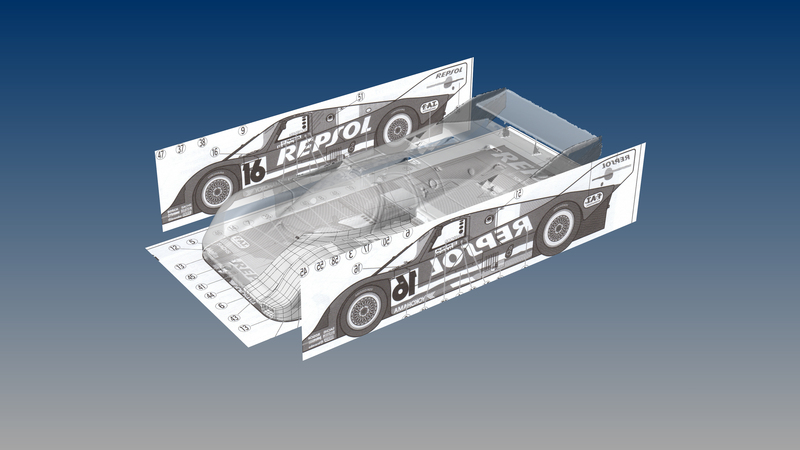 So I took an orthographic line, and projected it onto the front fender. When you project a line onto a mesh in Rhino, the result is a polyline – that is, very small straight line segments – aka a degree 1 curve. In this case, the projected line had roughly 250 points, which is not useful. So, I rebuilt that curve as a degree 3 curve, with something like 16 points. 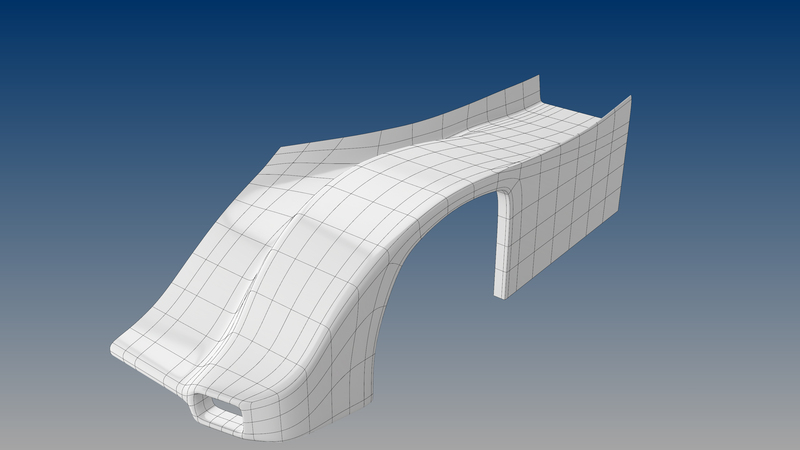 Then I extruded that curve as a T-Spline to create the fender. I extruded the outer edge downwards to create the side of the quarter panel, and then added edges where needed, and point edited. Really, the whole thing was done with around 3 commands. You can never have too much documentation. I scanned the top and side views from the instruction sheet and aligned them with the scanned model. Very useful for things like finding the height of the body off the ground. 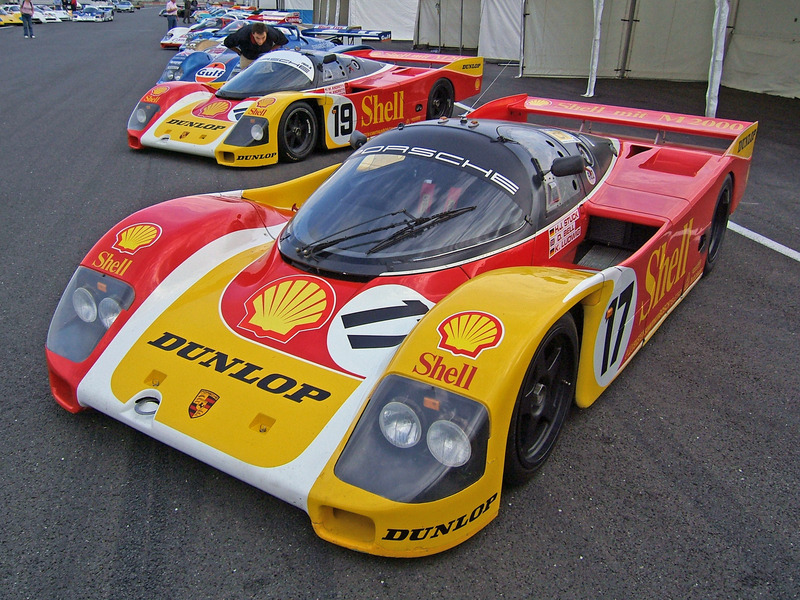 I’m considering going with this Porsche factory color scheme, instead of the Repsol scheme of the kit One advantage to virtual plastic – it doesn’t matter what decal sheet comes with the kit. Not sure if I like the more modern wheels on this one, but the color scheme sure is classy.